228 pages | 17 B/W Illus. The constituency for education and therapy in the arts is rapidly expanding beyond the conventional school and clinical settings to include the wider community. In Cultivating the Arts in Education and Therapy, Malcolm Ross integrates traditional Chinese Five Element Theory, also known as The Five Phases of Change, with contemporary Western psychological and cultural studies, to form a new Syncretic Model of creative artistic practice. The Syncretic Model is explored and validated through an analysis of interviews with practising, successful artists, and in a comprehensive review of the latest neuro-scientific research into human consciousness and emotion. 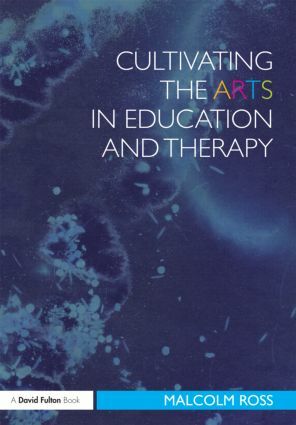 The book addresses the well-documented difficulties experienced by arts teachers and therapists intervening in, supporting and evaluating the creative development of individual students and clients. This groundbreaking text repositions the arts as central to the effective initiation and management of change in contemporary society. Besides being of wide general interest, it will have particular relevance for practising and trainee arts teachers, arts therapists and community artists. With the demand for their services growing and pressure to demonstrate effectiveness mounting, the arts community is looking to build bridges between the different arts, and between arts education and therapy across national boundaries. This book offers a fresh, coherent, and challenging framework for a revitalized reflective practice from an experienced authority in the field. Malcolm Ross is Honorary Research Fellow at the University of Exeter, UK.